With the amount of pre-packaged, ready-made artists getting signed to labels straightaway nowadays, it’s easy to forget the more traditional, slow-cooking approach. New Jersey’s Save Face formed nearly four years ago and they’re in the process of getting themselves noticed. And if anything’s going to help them out, it’s their third EP, Folly, which is sure to establish the duo as ones to watch. Save Face label themselves as “dad shred” genre-wise, and if that means a dynamically rich grunge / emo hybrid then it’s a more than accurate description. Folly is made up of tracks fuelled by raw emotion, which mostly comes out via the vocals. Lead singer Tyler Povanda’s adaptability with his voice is perhaps the most spellbinding aspect of this record due to his gut-searing rasps, beautiful melodic whispers and being able to switch between the two at the drop of a hat. Although there are a few strained moments, it’s a brilliant performance. 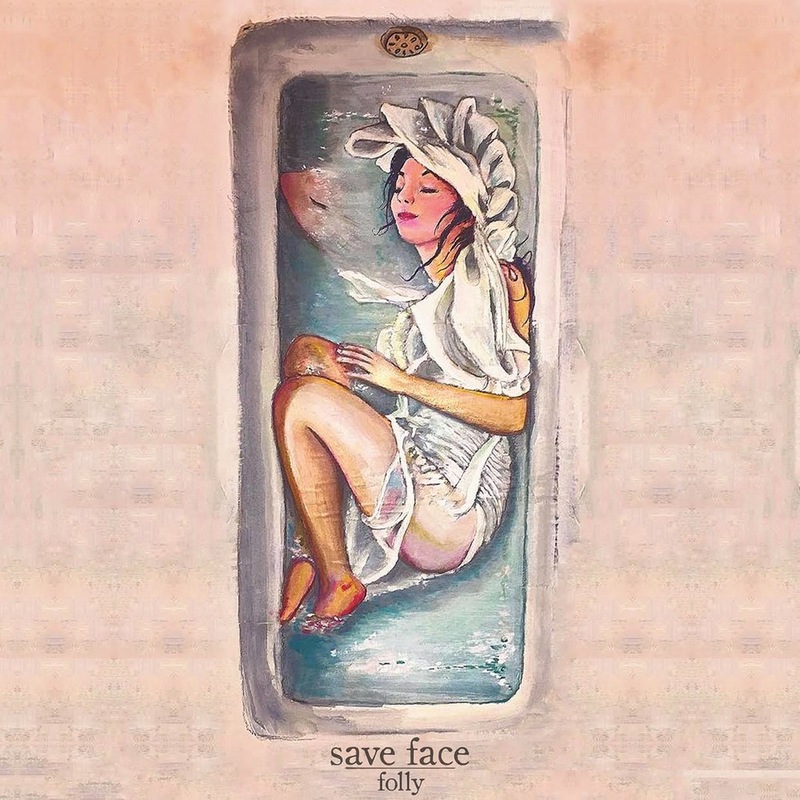 While vocals are important in their overall makeup, Save Face’s grungy guitar lines are sure to be something they’ll be known for. Their full impact is felt when contrasted with lighter riffs, namely Backseat and Brain‘s perkier intros which soon transition to thundering fuzzy booms. The latter’s swift tempo and volume changes vocally and instrumentally would make it fit perfectly into some kind of epic musical – a heavier one, of course; there’s nothing like a show tune here. The duo also seem to be carrying on a trend which seems to be pop punk’s three chords and hometown lyrics for emo – completely and utterly marrying the music with the words. Ditched is probably the best example, seeing an instrumental furore gradually build up throughout the track to complement stronger, angrier vocals and laying off when vulnerability is the main vocal focus. That laying off works well in songs which balance minimalistic aspects with heavier ones, but the title track and beginning of opener Preoccupied (which are centred around the wisiper side of Save Face’s sound) perhaps allow it a bit too much. While Preoccupied does eventually incorporate the heavier aspects, Folly is more subtle. It’s perfectly pleasant to listen to, but doesn’t pack the same punch as the rest of the EP. These are minor gripes, though, as Folly is sure to be the start of better things for Save Face. This is a band who know exactly who they want to be with an excellent songwriting formula they’ve almost perfected to help them out. Now, it’s just a matter of people finding out about them, so the ball’s well and truly in your court. ‘Folly’ by Save Face is out now on Take This To Heart Records.